Compared with past years of strident enforcement efforts and hefty fines, 2017 was relatively slow for China’s antitrust agencies. However, despite relatively mild penalties and fewer high-profile cases, the past year has been remarkable as a transitional period, with regulators expanding the scope of their activities. A large fine imposed on domestic chemical manufacturers made up more than half of the National Development and Reform Commission's combined antitrust penalties of around 466 million yuan ($70.8 million) in 2017, according to a calculation by MLex based on publicly announced decisions. ​The NDRC's 2017 fines are slightly higher than 2016's 346 million yuan, but fall far short of the record penalties of 7 billion yuan that it imposed in 2015, which included a 6.088 billion yuan fine for US chipmaker Qualcomm, the largest imposed on a single company in China. In 2014, the regulator imposed penalties of 1.58 billion yuan. 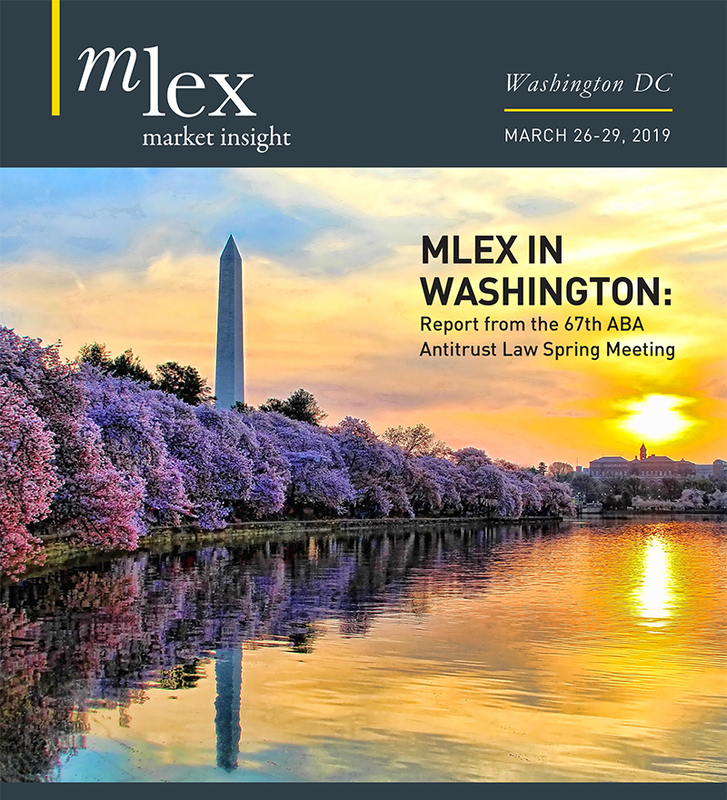 In the past year, the State Administration for Industry and Commerce has announced 13 antitrust penalty decisions worth a combined 49 million yuan-plus, according to MLex's calculations. SAIC's 2017 fines were lower than the record 720 million yuan of penalties it levied in 2016, which were boosted by sanctions for Swedish packaging giant Tetra Pak. SAIC imposed 7.05 million yuan of antitrust penalties in 2015, and 14.5 million yuan in 2014. But the NDRC and SAIC have expanded their enforcement scope from targeting antitrust violations by domestic and multinational companies to abuses of administrative power by government agencies and the implementation of the country's fair-competition review system. Back in August 2008, when the Anti-Monoply Law went into effect, Beijing was celebrating its hosting of the Olympic Games, and some critics and legal experts were wondering whether the new law would prove to be toothless. Yet since then, regulators have demonstrated significant achievements in enforcement and the interpretation of the law. In the nine years since the AML went into force, the NDRC has launched more than 150 antitrust investigations and levied fines totaling some 10 billion yuan ($1.51 billion) for antitrust violations, according to Zhang Handong, director general of the NDRC’s Price Supervision and Antimonopoly Bureau. Zhang said in November that a series of high-profile investigations such as probes of Qualcomm, carmakers and the polyvinyl chloride industry had shown the NDRC’s determination to crack down on antitrust violations and safeguard orderly market competition. He also said the regulator would further develop competition policy and target administrative monopolies in response to calls at the recent 19th Communist Party Congress to break up administrative and market monopolies. But he also noted that rapidly growing new-economy industries and the Internet sector had presented many challenges for antitrust investigators. Regulators are facing issues such as how to scrutinize emerging industries and the use of Big Data, among other issues. In July, JD.com, China's second-biggest e-commerce company, accused its larger rival Alibaba of abusing its market dominance in the online market and forcing merchants to choose between them. The conflict between the two e-commerce giants has turned out to be an ugly battle, but it is not immediately clear whether antitrust enforcement regulators will intervene. The NDRC, which administers price-related antitrust matters, has investigated a number of cases targeting LCD manufacturers, state-owned liquor makers, automakers, suppliers of eyeglasses, baby formula companies, the cement industry, industrial materials manufacturers, US chipmakers, and pharmaceuticals and medical-device firms. In 2018, revisions of the AML will be a key focus. The Antimonopoly Commission at China's State Council kicked off research on those revisions earlier this year, and in November, the commission held a seminar to gather advice and suggestions from experts, scholars, representatives of government agencies and law firms. But officials also said the legislative process was expected to take several years. Boosted by its increased experience, sophistication and confidence, the NDRC is expected to tackle more industries and violations in 2018, including those involving intellectual property rights , pharmaceuticals, chemicals and industrial materials. As reported by MLex on Dec. 21, the NDRC raided the China headquarters of US chemical and agricultural giant DowDuPont amid suspicions of anticompetitive conduct. The ongoing probe is expected to be a top priority for the regulator. In the new year, the State Council's Antimonopoly Commission is expected to complete legislation on guidelines for intellectual property rights, as well as five other antitrust guidelines involving the automotive industry, exemptions, commitments, leniency and the calculation of fines. The NDRC is also said to be investigating possible manipulation in the trading of top-quality bonds in the so-called supranational, sub-sovereign and agency, or SSA, market after similar probes were reported to have begun in the US and the EU. Elsewhere, the NDRC's Hainan provincial regulator recently lost a vertical-restraints case brought by a local fish-feed company at a court in the island province. The groundbreaking court decision to dismiss a decision by a Chinese antitrust enforcement agency is the only instance of a regulator losing such a case since the AML went into effect. Local legal sources said the case posed challenges for antitrust regulators, because the court questioned whether regulators should adopt a rule-of-reason analysis in handling resale price maintenance cases or simply treat RPM as illegal per se. For SAIC, an important priority is to conclude its high-profile probe of Microsoft. The investigation was launched in July 2014, and SAIC is currently investigating the tech giant over issues such as compatibility, bundled sales and file verification related to its Windows and Office software. Another tough decision facing SAIC's new antitrust chief is whether to intervene in a complaint against Apple filed by a group of Chinese app developers. In August, a law firm representing the app developers lodged a complaint with the regulator accusing Apple of abusing its market dominance in the way it operated its App Store. Later, Apple altered its App Store policy to allow users to give monetary tips to others without going through Apple's in-app purchasing mechanism. It is not immediately clear whether the regulators will intervene in the case. The pharmaceuticals sector remained a top enforcement priority in 2017. In February, the NDRC's Shandong branch fined Longshunhe Pharmaceuticals 120,000 yuan for obstructing an antitrust investigation. A manager at the company had thrown out a memory stick that investigators had collected on-site, despite their objections. Employees of the company had also tried to obstruct officials when they tried to retrieve the memory stick. In July, the NDRC fined Zhejiang Second Pharma and Tianjin Handewei Pharmaceutical for abuses of market dominance. Both companies were fined 443,900 yuan for selling ingredients for isonicotinic acid hydrazide at unreasonably high prices and refusing to deal without justifiable reasons. In 2017, the NDRC continued its tough crackdown on industrial materials makers. In July, it announced its toughest-ever sanction for an industry body, ordering the Fuyang District Paper Manufacturing Association in Zhejiang Province deregistered and fining 17 paper manufacturers a combined 7.78 million yuan for fixing the prices of paper products. In September, the NDRC broke up one of the country's most infamous cartels, handing down the heaviest-ever domestic antitrust penalties — 457 million yuan ($68.8 million) — to 18 domestic chemical manufacturers for fixing the prices of polyvinyl chloride. Nevertheless, price fixing remains common in the industrial materials industry. Antitrust enforcers say they have noticed similar price fixing in other key industries such as steel, paper manufacturing, cement and electricity, with companies colluding to raise prices in an effort to address overcapacity problems. In 2017 the NDRC also concluded probes of the shipping and port sectors. In November, it announced that it had found antitrust violations by the operators of Shanghai Port and Tianjin Port, which had engaged in excessive pricing and imposing restrictive trading conditions. Subsequently, a number of port operators announced measures to lower their loading and unloading charges, saving 3.5 billion yuan for import and export companies. In March 2017, the NDRC announced that a total of 18 global container shipping lines had promised to lower their terminal handling charges, in a move that was estimated will save exporters and importers 4.6 billion yuan annually. Targeting administrative monopolies, the NDRC launched a series of probes, including investigations of the Shenzhen healthcare department, the Chengdu state-owned assets regulator and the Baise housing authority for abusing their administrative power to restrict competition. In the past year, the NDRC and SAIC also focused on introducing China's fair-competition review mechanism, which requires all levels of government to review existing and future laws and regulations to ensure they comply with the country's competition law. The regulators also released a work plan for 2017-18 to scrap existing policies that involve anticompetitive practices. In addition, NDRC officials revealed this month that the regulator was investigating rules in the cities of Quanzhou and Lanzhou that impose extremely strict market entry criteria for taxi-hailing vehicles, which had harmed competition. In light of emerging technologies, WeChat, a ubiquitous Chinese messaging service, has become a new investigative tool for antitrust enforcers, because the app is used ever more frequently by companies participating in industry-wide groups to negotiate sensitive price information with competitors. In an effort aimed in part at stemming a rising tide of public complaints about prices in sectors that most affect consumers, the NDRC has published a number of guidelines covering industry associations and scarce drugs, targeting pricing behavior that is illegal or anticompetitive. In 2017, SAIC, China's watchdog for non-related antitrust matters, appointed Yang Hongcan, a senior official in charge of consumer rights protection, as the new director general of its antitrust department. His predecessor, Ren Airong, was promoted to the post of deputy governor of Shandong Province. Yang told a seminar in Hong Kong on Dec. 15 that the agency was committed to enhancing antitrust enforcement and boosting the implementation of the fair-competition review system to build a unified, open and competitive market order. The agency has investigated a total of 86 antimonopoly cases since the AML took effect. The sectors involved have included pharmaceuticals, tobacco, TV networks, insurance, oil, gas, telecoms and computer software. SAIC, which is also in charge of enforcing the Anti-Unfair Competition Law, has investigated a total of 17,659 unfair competition cases between 2008 and this year. On Nov. 4, the Standing Committee of the National People’s Congress passed amendments to the Anti-Unfair Competition Law that twill take effect on Jan. 1, 2018. It is the first time that the law has been revised since it was enacted in 1993. As part of the revisions, provisions on bundling and antitrust were scrapped and unfair competition in the Internet sector was made a focus. In December, SAIC’s Hunan provincial branch fined two providers of value-added tax-invoicing systems for market allocation. The two companies were fined 1 percent and 2 percent of their revenues for 2016, respectively. Elsewhere, after more than a year of numerous hearings, 14 administrative review appeals and 44 administrative lawsuits, SAIC’s Shandong branch finally brought to an end a landmark battle against a local accountancy cartel. In August, SAIC’s Sichuan branch fined Sichuan Jiuyuan Yinhai Software 209,601 yuan for abuses of market dominance. The regulator found that the company had engaged in anticompetitive practices by tying health insurance payment software services with encrypted keyboards and card readers. In April, SAIC’s Jiangsu branch fined the Suqian branch of PetroChina Kunlun Gas 25.05 million yuan for abusing its dominant market position. The company was accused of forcing real estate developers to conclude gas-pipeline construction contracts with it and also to choose construction materials only provided by it. SAIC also penalized the Guangxi Insurance Association for market division, Hubei fireworks manufacturers for abusing market dominance, and water suppliers in Jiangsu for abusing market dominance. In February, SAIC’s Hubei branch fined Wuhan Xinxing Jingying Pharmaceutical 372,321 yuan for abuses of market dominance by imposing unfair conditions on the sale of methyl salicylate.